Windows XP has been out since 2001, and it's still one of the most popular Microsoft operating systems (OS) in use today despite several upgrades, with the latest update being Windows 10. RAM is the memory that your computer uses to run programs, and the general rule of thumb is "More is Better." Many XP computers, having been bought many years ago, will have 1GB (gigabytes) of RAM or even less (computers 15 years ago, for example, came with 512MB, which is barely enough to run the OS). It's very hard to get anything done these days with that amount of RAM. The practical limit on how much RAM a Windows XP computer can use is about 3GB. Thus, if you put 4GB or more in, you're just wasting money. Adding any more RAM than you have now (assuming you have less than 3GB) is good; getting to at least 2GB will make your computer much snappier. Service Packs (SPs) are rollups of fixes, enhancements, and additions to a Windows OS. Often, the most important things in them are the security updates. Windows XP is at SP 3. If you're on SP 2 or (hopefully not!) SP 1 or no SP at all, go download it right now. This minute. You can download it by turning on Automatic Updates, download and install it manually, or order it on CD and install that way. In general, we strongly recommend turning on Automatic Updates in XP. If you have an XP computer, it's likely you also have a very old graphics card. This will affect your performance in a number of ways, especially if you're a gamer. Newer cards have more RAM on board, taking much of the load off your central processing unit (you've probably heard abbreviated as CPU). You can get a mid-grade graphics card for little money nowadays, but the effect on your internet experience, and in other ways, could be significant. Your home network may be ready for an upgrade. For instance, most homes use wireless technology known as 802.11b/g to connect computers through a router. The upcoming standard is called Wi-Fi HaLow and will be an extension of the 802.11ah standard. The Wi-Fi Alliance intends to begin certifying HaLow products in 2018. XP computers are more susceptible than other Windows versions to attack. In addition, spyware and adware — the computer equivalent of junk mail — can build up over the years and slow your computer to crawling-through-oatmeal speeds. Microsoft Security Essentials is a free program that guards your computer against worms and viruses, spyware and other bad stuff. It works very well, is easy to use, and is highly recommended, and you really shouldn't leave home without it (metaphorically speaking). 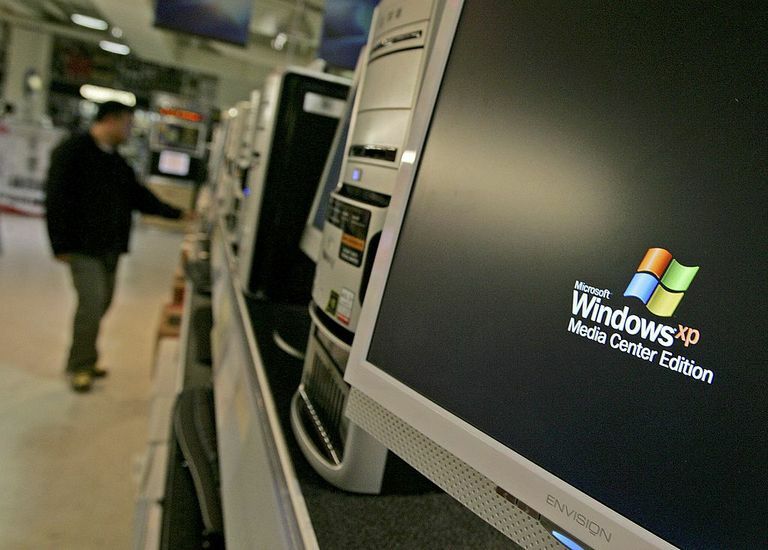 Eventually, you will need to get a new computer, since Microsoft will stop offering support for Windows XP, including security updates. But taking these steps will help you get the most out of the time you have left.